Evangelism: Big Stats, What Kind of Fruit? 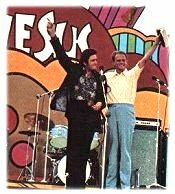 In 1972, Campus Crusade for Christ had a huge evangelistic conference in Dallas, TX called Explo ‘72. 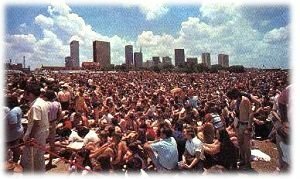 Attendees were equipped and sent home with the vision of sharing the Gospel with every person in the United States of America by 1976. 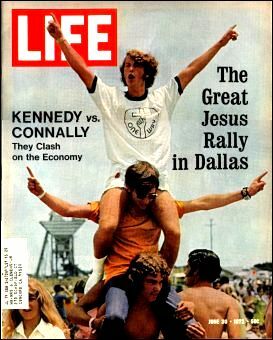 Though it did not happen, the campaign did “reach” millions with the Gospel. By the end of 1976, 6.5 million people had been contacted, and 536,824 people had indicated they trusted Christ for salvation (60,000 of those joining the neighborhood Bible study group). It was estimated that 50 million people saw the television special that went along with the campaign! Amazing stats…seemed quite effective at “reaching” the United States with the Gospel. “Though the campaign’s statistics seemed, good, the campaign drew criticism from experts on church growth. Win Arn noted that few of the converts actually joined local churches. For example, in Edmonton, Canada, 1,700 workers from 63 participating churches recorded 1,009 decisions for Christ. Only 250 of those people actually attended one Bible study, and not a single person became a church member as a result of the campaign. In Indianapolis 823 volunteer made 28,976 telephone calls. These calls produced 1,665 decisions for Christ. However, only 242 attended a Bible study, and only 55 became church members. Of these, 23 were transfers from another church. Therefore, the net gain in membership in area churches was 32” (John Mark Terry, Evangelism: A Concise History, 189-190). I knew I was missing something until I realized I haven’t visited your blog. Anyway, evangelism is not like any marketing campaign. A campaign is to get you to buy a certain product or to vote for that one time. This is why ads keep bombarding us to remind us to keep buying the same product again. Unfortunately, we can’t adapt these types of practice with the Gospel. The Gospel is a life changing event and takes more than just one blitz or a few phone calls. It requires relationships, teaching, and building. In other words, it’s a life long process. Thanks for the facts tho, oh and welcome back to the states! Oh good grief! I bet you don’t get that kind of stats in personal evangelism classes. Hopefully I’m not in trouble for saying that. But like mercy now said, it is a life long process. We don’t get to see immediate results, and it takes much of our time, energy, emotions. Evangelistic crusades and street evangelism and stuff like that gives much more immediate gratification, which, sadly, is what we sinners tend to crave.